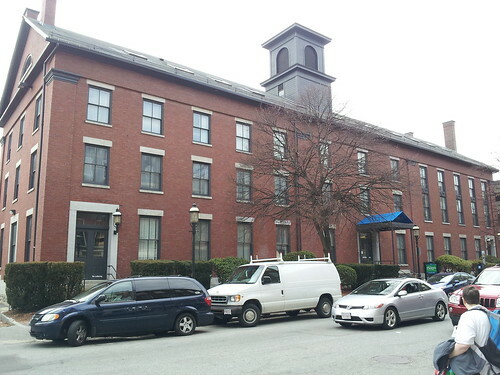 Here is today’s installment of Lowell Places, a series of recurring blog posts about buildings, bridges, parks and other places in the city of Lowell. Today, the Lowell District Court at 41 Hurd Street. The “police court” continued to sit in its Market Street quarters for nearly a century, until 1924 when the state legislature authorized the construction of a District Court of Lowell. On May 24, 1924, Middlesex County purchased two parcels of land on Hurd Street; one of 9673 square feet from Kirkor Sahagian, the other of 7398 square feet from Katie W. Welch. The original Lowell District Court, which can still be discerned today around the ornate front entrance that is no longer used, was constructed on these parcels. Through the years, the Lowell District Court has had two major additions. In 1945, Middlesex County acquired five additional parcels along Williams and George streets to acquire sufficient land to construct small wing-like additions to the original building and to also create a significant surface parking lot behind the structure. 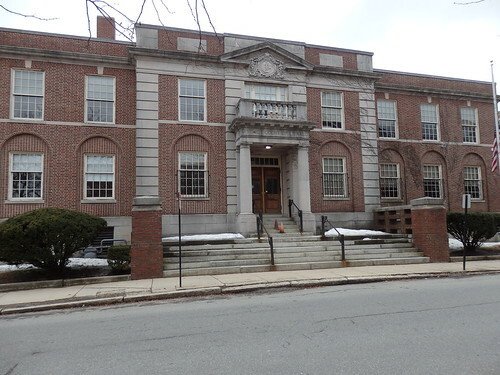 In 1967, the state legislature enacted a bill to expand the size of the Lowell District Court. Pursuant to that legislation, Middlesex County took by eminent domain one parcel on Hurd Street and a contiguous parcel on Williams Street. On this space the new addition was constructed. This portion of the building today houses the Clerk’s Office and the Fourth Session courtroom. In 2019, the Lowell District Court personnel and functions will move into the new Lowell Judicial Center and the current building will be left vacant, hopefully not for long. To find a new occupant, the Commonwealth will first offer it to any state agency that wants it. If there are none, it will be offered to the city of Lowell. If the city does not want it, the Commonwealth will solicit bids from private developers for the reuse of the site.